Bilt Hamber clay-bars are designed to effortless restore the factory smooth finish to paint finishes. Bilt Hamber clay-bars are designed to effortless restore the factory smooth finish to paint finishes. 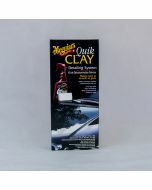 They have received critical acclaim in the detailing industry for being the most durable, cost effective and well-designed clay-bars available today. Regular - If the vehicle is heavily contaminated, has never been clay-barred before, or it’s hot summertime then use Regular. 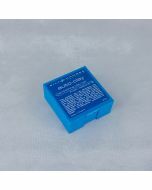 All clay bars become firmer when cold and softer when warm. 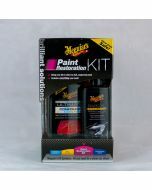 Medium - For paintwork that is in a reasonable condition, Medium will be preferred. Soft - If paint is in good condition, if you like to clay your vehicle frequently or indeed if the weather is cold, then use Soft. Run your fingers over your freshly washed and dried paint work. Feel for a rough, gritty texture? This is caused by embedded particles. Bonnets are often the most contaminated. If you can feel these particles atomise a fine mist of clean tap water over a 2-3 square feet area, using a plant mister or suitable spray. 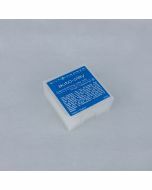 Glide the auto-clay over the wet surface, properly lubricated clay will move effortlessly just like an ice hockey puck on ice. Check again with your finger tips to check that all the contamination was removed. Once your car’s paint is glass smooth - and it really will be - use auto-balm, cleanser-polish, finis-wax, hydra-wax or micro-fine to seal the pores and provide a deep gloss shine.